Since 2001, 3C Institute has been building effective, user-friendly programs, services, and software applications to promote health and well-being for children, adolescents, and adults. At 3C, we collaborate with likeminded partners to apply our research-based technologies to accelerate and advance their research and intervention efforts. Our custom software services are tailored to achieve broad-scale improvement in social, emotional, and behavioral health. More information about 3C Institute can be found at www.3cisd.com. This program is built on the powerful Dynamic e-Learning Platform (DeLP). Through more than a decade of federally-funded research, 3C Institute developed DeLP to provide unparalleled personalized, engaging, and effective e-learning programs. 3C developers work with subject matter partners to select and intermix DeLP components for didactic instruction (‘Tell me’ components), illustrative examples (‘Show me’ components), and practice opportunities (‘Let me try’ components), each customized to achieve specific learning objectives for a particular audience. DeLP can be applied for e-trainings for professional development (see 3cisd.com/custom-online-trainings) as well as self-paced intervention programs for behavior change (see 3cisd.com/interventions-for-behavioral-health). Lynn Cannon, M.Ed. is a Social Learning Specialist at Ivymount School & Programs and The Maddux School. Ms. Cannon received her M.Ed. in Special Education from the University of Virginia. For over 15 years, she has worked as an educator, administrator and program director, serving students with neurodevelopmental disabilities. Ms. Cannon is the co-author of Unstuck and On Target, a curriculum to support children with flexibility and goal directed behavior. She is the co-author of Solving Executive Challenges, a resource guide for teachers and parents and The Conversation Club, an instructional manual for teaching conversation skills to students with neurodevelopmental disabilities. Her research and teaching interests are in developing interventions and support materials for students with neurodevelopmental disabilities, therapists, educators and their families. She has co-authored more than five peer-reviewed publications and has received federal funding for two research grants. Dr. Müller currently serves as Coordinator of Program Evaluation and Outcomes Research at Ivymount School & Programs. She completed her Ph.D. in Education at UC Berkeley with an emphasis on autism and social and emotional learning. She worked for many years as a Senior Policy Analyst at the National Association of State Directors of Special Education. 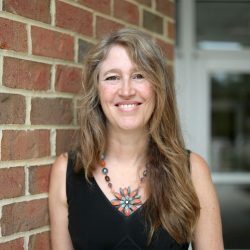 She has published extensively in special education journals, frequently presents her work at conferences, and most recently co-authored Conversation Club, a curriculum for teaching the “how” and “why” of conversation to children with social cognition challenges. 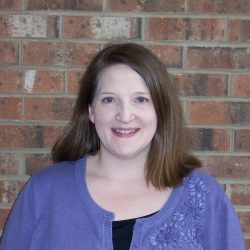 Melissa Cherry currently serves as the Assistant Program Director at Ivymount School & Programs. She is a certified teacher and a Board-Certified Behavior Analyst. For the past 10 years she has worked in a variety of roles with students who are on the autism spectrum. Within these roles, Melissa has developed and run excursion-based programs focusing on the generalization of social-emotional skills, consulted with public schools on the development and implementation of social-emotional instruction and continues to supervise the social emotional curriculum within the Model Asperger Program. Dr. Childress obtained her PhD in psychology at the University of North Carolina at Chapel Hill. 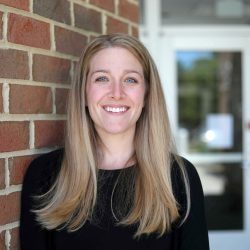 Prior to coming to 3C Institute, she served as a research associate and a postdoctoral fellow in the Carolina Institute for Developmental Disabilities at the University of North Carolina at Chapel Hill working on a longitudinal imaging study aimed at identifying the early markers of autism through behavioral and imaging methodologies. She has 20 years of autism research experience, during which she has examined the behavioral, personality, and cognitive characteristics of individuals with autism and their family members. Dr. Childress also has experience developing behavioral and parent report measurement tools, coordinating multi-site research studies, and collecting data from children and families. 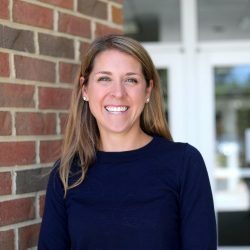 She has taught courses and seminars in general child development, autism, and cognitive development at the University of North Carolina at Chapel Hill. Since its founding in 1961, Ivymount has developed innovative programs and comprehensive support services to meet the complex learning, therapeutic, and transition challenges of students with developmental disabilities throughout the Greater Washington, D.C. region. Ivymount provides comprehensive evidence based programming across a wide variety of areas including academics, social emotional learning, and functional daily living. Individuals learn skills that help build self-confidence so they can achieve independent and productive futures of their own choosing. Ivymount has built, evaluated, and refined education models. It has shared its innovative curricula, tools, and training with teachers, therapists, and school administrators, both regionally and nationally. 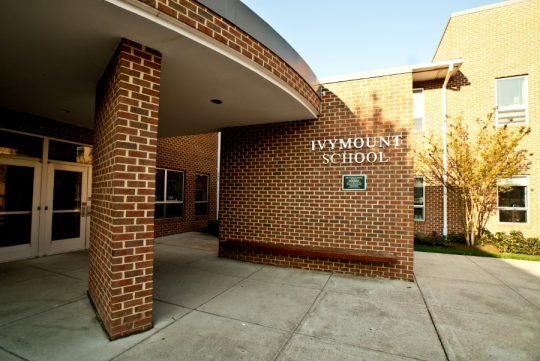 Ivymount has twice been named a Blue Ribbon School of Excellence by the U.S. Department of Education, a measure of the school’s leadership, educational standards, investment in staff, and student outcomes. Cannon, L., & Müller, E. (November 9, 2018). IvySCIP: Supporting Data-Based Social and Emotional Learning Instruction for Students with Social Cognition Challenges. 2018 Nonpublic Special Education Conference: Fostering Student Success in Alternative Settings! Baltimore, MD: Proficio Consulting. Müller, E. & Cannon, E. (Nov. 14, 2018). Data-Based Social Emotional Learning Instruction for Students with High-Functioning Autism. Columbus, OH: OCALICON. Müller, E., & Cannon, L. (November 17, 2018). Implementing Comprehensive, Data-Driven Social & Emotional Learning Instruction for Students With High-Functioning Autism. Boston, MA: American Speech Language and Hearing Association (ASHA).